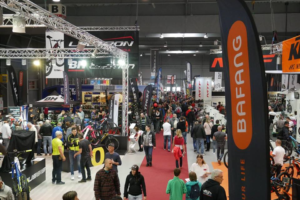 FRIEDRICHSHAFEN, Germany – You could wonder how Messe Friedrichshafen is going to house them but the Eurobike team is targeting at 1,000 exhibitors this year. Apparently the addition of the new hall will provide enough room as the show will have 100,000 square meters of exhibition space available. The long awaited expansion of the show ground will be completed this summer. There are two extra halls available this year as well as the new East Entrance, with its new foyer, conference centre and additional space at the eastern open-air grounds. The parking capacity directly on the exhibition grounds and in the immediate vicinity has also been increased. The organizers have also come up with a smart solution for getting visitors from A to B that involves bikes. 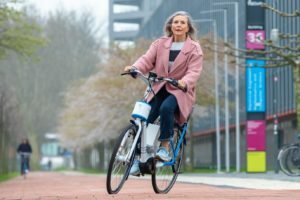 This year 500 bicycles will be available for free use at key locations in Friedrichshafen (airport, train stations, hotels and Hymer-City). 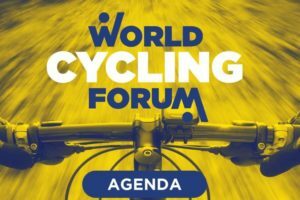 In order to allow visitors and exhibitors alike more time to do business Eurobike will open its doors earlier this year (8:30 a.m.) and closing them later (6:30 p.m.). 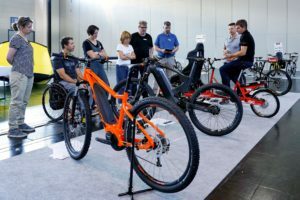 Until July 31, manufacturers, designers and engineers are invited to enter the competition of the Eurobike award. 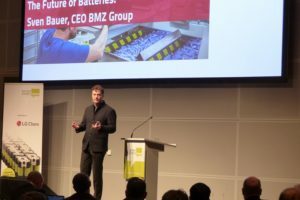 This year’s competition will mark the second time that a product with particular value for the environment will be presented with a special award, the Eurobike Green Award. The competition organized by iF goes into its fifth edition this year. Manufacturers, designers and engineers in the bicycle industry are invited to submit entries in the following categories: All-terrain bikes/Traveler bikes/Trekking bikes, BMX bikes/dirt bikes, City bikes, Cross/fitness/speed bikes, Cruiser/design bikes, E-bikes, Family transportation/kids’ bikes, Folding bikes, Mountain bikes, Downhill/Enduro/Freeriders, Mountain bikes Hard-tail, Mountain bikes full-suspension, Racing bikes, Special bikes, Apparel, Electronic components/components, Frames and Accessories. In the “Concepts” category, students can also take part and enter experimental drafts of yet to be realized products and studies. Participation is free of charge for students.